I am slowly mending the pieces of my life that decided to fall apart this month. OK it is Fall, but do we have to take it literally!! First, we managed to get a contractor to install a new shower in the bathroom, after the old one started leaking. Two weeks without a shower is, well, difficult. Actually we weren't totally without a shower, there was the crumby one in the basement. It's all right, if you close your eyes!! Apparently contractors these days do the labour and get some of the materials, but by and large, we are expected to get items, such as tile, faucets, shower heads, soap dishes etc ourselves. Also, since these are not everyday items, they are not stocked close to home. There is a lot of driving in traffic, wasting time in stores, ordering items that take forever to arrive and you know how it goes. 1. I went to the local hardware store. They had nothing that could easily be mounted on the shower wall. 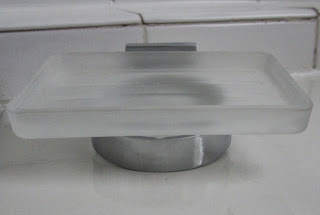 Plumbing stores don't carry simple soap dishes. They stock dispensaries that look like the serving area of your local pub. I want a shower not a beer bath! 2. I went on-line. 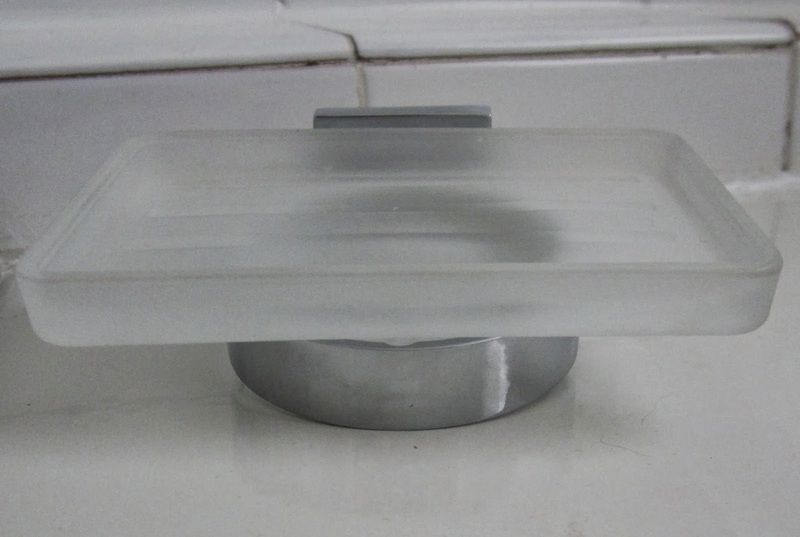 I found a simple soap dish for $5.00. However, the store was miles away. No, they would not mail it out. Well, they would for $50.00. I was frantic. The contractor was almost finished and I had to have the dish installed before he left or, you know, it would never get done!! 3. I went back to the bathroom store where we bought our original fixtures. They had soap dishes in spades, however, most of them were over $100.00 and some were close to $400.00. I could buy a china service for 6 at that price. Believe me I wasn't planning to eat in the shower!! 5. I bought the $70.00 one. Brought it home, only to have the contractor say that it wouldn't work, because the glass fitting could loosen, fall and shatter!! Back to the drawing board with only a day or two left!! Sounds like a ridiculous waste of time and energy over something so simple. Too bad the contractor can't pick up what he knows will work for you and put it on the tab. They are in and out of DIY types all the time. From my experience, it never goes as planned with contractors, right? What a pain! Good luck! What an indolent contractor. Most want to acquire the goods- since they are provided a contractor discount, which they don't share with you! Beer baths, impaled husbands, Agatha Christi, $70 soap dishes? You really got a lot of funny stuff together. I loved it. Yikes! A soap dish? I agree with the others. I would think the contractor would be very familiar with a wide variety of soap dishes that could work (for less than $100)!